Cheese and tea: two words that go unnoticed separately but together might cause a double take. But trust us when we say cheese tea is the drink you'll be seeing a lot more of in 2018. Thankfully, cheese tea doesn't involve a wedge of Gorgonzola blended into your Earl Grey. Instead, a base of iced tea—traditionally jasmine, oolong or green— is topped with a fluffy cloud of salted cheesecake-like cream. 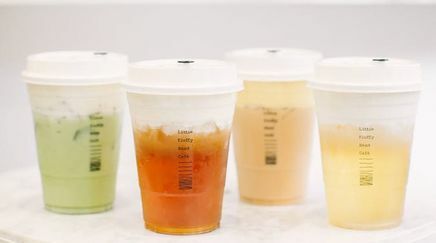 And though the drink originated in Taiwanese street stalls around 2010, it wasn't until it made its way to China when bloggers, such as Ethan Wong, noticed people were willing to wait up to three hours for cups of the sweet, savory beverage.